Flying Ace Aaron Rodgers is the Man in Command! A few weeks ago, we wrote a feature about Aaron Rodgers being accustomed to being overlooked. He was snubbed for the Pro Bowl. He was not offered any Division I college scholarships coming out of high school. He was passed over in the draft to a much lower spot than predicted and, finally, he had to live in the shadow of Brett Favre for three long years. Rodgers flourished “flying under the radar” in the past, but he no longer holds stealth status. Instead, he is like a state-of-the-art fighter jet pilot. On Sunday he will fly into Cowboys Stadium and try to blast the Steel Curtain to shreds on his way to winning the Lombardi Trophy. Let’s take a look at Green Bay’s offensive weapons and what they need to do to overcome the Steelers’ #2 ranked defense. Aaron Rodgers is indeed the “pilot” of Green Bay’s offense. In the post season he has been soaring high, completing over 70% of his pass attempts for nearly 800 yards and an impressive 113 quarterback rating. In those 3 playoff games, he threw for 6 TDs. His accuracy and quick release have been a thing of beauty this post-season, rivaling the elegance and finesse of a seasoned Blue Angels pilot performing his aerial show. Combined with his strength, often underestimated mobility and composure, Rodgers just oozes Super Bowl MVP potential. Greg Jennings is one of Rodgers’ favorite downfield targets. With 76 catches for 1,265 yards and 12 touchdowns, he received his first Pro Bowl bid this season. Rodgers has other powerful weapons in his arsenal as well. Twelve year veteran Donald Driver is the Packers all time leading receiver and has been selected for the Pro Bowl three times. Jordy Nelson and James Jones have made great contributions this year, especially in third and fourth down situations. With a number of offensive passing threats, Jennings is less likely to be in double coverage, which gives the Packers a greater scoring opportunity. Most of the season, the Packers’ running game has been practically non-existent. More recently, RB James Starks has been able to contribute to the rushing game which has helped balance the offense. During the regular season Starks was injured and played in only 3 games, rushing for a mere 101 yards. During the post season, he has accumulated 263 yards. Facing the Steelers’ #1 ranked rush defense will likely limit Starks’, but his power and speed will get him the tough, short yardage when most needed. Keeping pressure off Aaron Rodgers is a necessity for the Packers’ offensive line. Rodgers suffered two concussions this season and a brutal hit to the head in the NFC Championship game. 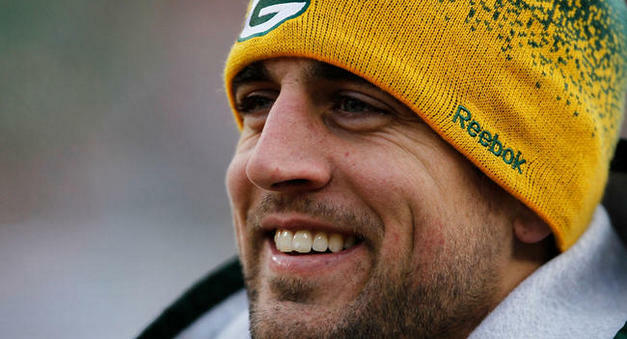 The Packers cannot afford to let Rodgers take a blow to the head on Sunday. The O-line is an experienced group, including Pro Bowl tackle Chad Clifton who has been on the team since 2000. Center Scott Wells and left guard Daryn Colledge have played in their current positions since 2006. While the O-line is not an outstanding unit, it adequately gets the job done. Rodgers’ mobility and ability to get rid of the ball quickly help make up for this average O-line. As we look at the overall Super Bowl scenario it appears that, offensively, the Packers will be forced to almost exclusively rely on Rodgers since the running game will be limited. The key for Green Bay will come down to how effectively they can contain the Steelers’ intense pass rush and how well the receiving corps matches up against Pittsburgh’s secondary. The battle should be intense, but Aaron Rodgers seems poised and ready to take command, just like the celebrated fighter pilot he has become! 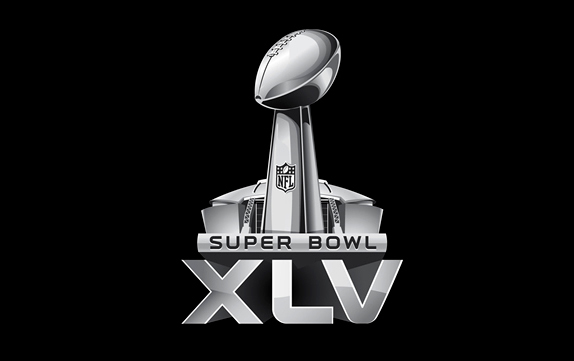 Super Bowl XLV – Let’s Get Ready!!! After a few days recovering from last weekend’s Conference Championship games, we’re back! Unless you have been living under a rock, you know that on February 6th, Super Bowl XLV will feature the AFC Champion Pittsburgh Steelers vs. the NFC Champion Green Bay Packers. As the big day approaches, we will be bringing you all the latest player, coach and team news, as well as what we think the keys to the game are for both teams. We will also include some features that look at some of the interesting and unique aspects of this year’s Super Bowl. The Steelers are the oldest team in the AFC, having been established in 1933. Pittsburgh has 6 Super Bowl championships – the most in the history of the NFL. The Packers franchise was started in 1919 and they have the most league titles, twelve of which are prior to the establishment of the Super Bowl. With two teams so rich in tradition, Super Bowl XLV is shaping up to be one of the greatest matchups in recent history. We hope you will join us over the next 10 days as we explore the on and off field storylines – like an in depth feature on Cowboy’s Stadium, a look at the very loyal and unique fan bases of both teams, a preview of the pre-game and half time entertainment, and of course, an in depth analysis of both teams! As we prepare for next Sunday’s festivities, we want to share one of our very favorite tailgating recipes that will be a great addition to your Super Bowl party menu. It is super easy and can be made the day before the big game. Enjoy! Cook one package of fresh tortellini (cheese filled). I use the multi-colored tortellini to make it look more interesting. Drain and rinse with cold water. Add cubed Jarlsberg cheese. I buy the pre-packaged wedge of Jarlsberg from the deli and use the entire thing, cubing them to approximately equal the amount of tortellini pieces I have cooked. Add sliced pepperoni (use enough to approx. correspond to the number of tortellini and cubed cheese) and cherry tomatoes and place in marinade. Refrigerate a few hours to overnight. Place on wooden skewers or long football themed picks, alternating tortellini, cheese, and pepperoni. I use just a small amount of the cherry tomatoes, usually one or two per skewer. Place on tray and cover with plastic wrap. Keep refrigerated until ready to serve. Who Will Make it to the Super Bowl? Here are Our Predictions! Today will determine who will be going to the Super Bowl on February 5th. Will the Chicago Bears win today in the longest rivalry in the history of the NFL? Or will the Green Bay Packers represent the NFC and make a run for the ultimate title? In the AFC, will the Steel Curtain be lowered on the Jets or will New York find a way to soar above Pittsburgh’s tough, stingy defense? Whatever the outcome, this is shaping up to be an electrifying day for gridiron fans! Here’s our take on who emerges victorious today. Keeping the game from being one dimensional. Most of the season, the Packers relied almost exclusively on Aaron Rodgers and the passing game. When they found a running game, they became a much more balanced offense that is simply harder to defend. The Bears have the #2 rushing defense in the NFL, which will make it a real challenge for Packers RB James Starks. The Packer’s defense needs to pressure Bears QB Jay Cutler. Last week against the Seahawks, Cutler had 274 yards passing and 2 TDs, but that was against a Seahawks defense that did little to pressure him. The Bears have the #5 pass defense in the league, which means Cutler will be facing a much different situation than he did last week. The Packers need to stop Matt Forte. Forte poses a threat as a running back and a wide receiver and is peaking at just the right time. If the Packers don’t have an answer for Forte, he may just win the game for the Bears – especially given the frigid, wintry conditions expected at Soldier Field today. Since the Packers are better at pass defense than run defense, Forte could be a real game changer. The Jets/Steelers game is a tough one to call. Big Ben has the experience to take the Steelers into the Super Bowl and is hard to pick against. But the Jets are coming off a huge upset win against the Patriots and sometimes sheer momentum is enough to beat even the toughest opponents. We pick the Jets in what should be another close one! For our prediction to come true here is what has to happen. Real pressure on Big Ben. Last week the Jets defense pressured Tom Brady, causing him to lose his rhythm. Big Ben has the physical size, strength and mobility to escape that pressure. For the Jets to win, they MUST find a way to disrupt the two-time Super Bowl winning QB. Contain strong safety Troy Polamalu and head hunter linebacker James Harrison. If the Jets cannot control these two defensive dynamos, Sanchez is in for a very long day – much of it on the ground looking up at the sky! Make Shonn Greene and LaDainian Tomlinson key components in the offensive game plan today. For the Jets to win, they must run a balanced offense, using their two RBs and using a game plan that allows Sanchez to make quick, short throws downfield. This will be an enormous challenge, given the relentless rush defense of the Steelers. Given all these seemingly impossible tasks, why have we picked the Jets over the Steelers? Jets coach Rex Ryan has lost two AFC Championships in a row and simply won’t tolerate a third. Combined with the momentum the Jets are on after last week’s defeat of the Patriots, we think he and his team will back up their season long tough talk with a victory over the favored Steelers. Snubbed by the Pro Bowl this year, overlooked by most of the media and having endured playing in the shadow of Brett Favre, Aaron Rodgers is now making his presence known. Even Troy Aikman stated this week that if he had a team, he would choose Rodgers as his starting QB. As Rodgers leads his Packers into the NFC Championship, he is playing like not just a would be Pro Bowl QB, but quite possibly an MVP. His path to the NFC title game was not easy. Coming out of high school, Rodgers was not offered a single Division I scholarship offer. Never one to give up, he went to Butte College, a small community college in California and led them to a 10-1 season and number 2 national ranking. His performance there caught the attention of the University of California, who offered him a scholarship. As a Golden Bear, Rodgers once again played exceptionally well and set a number of passing records as a sophomore. He led his team to a victory over Virginia Tech in the Insight Bowl and elevated himself to national recognition. 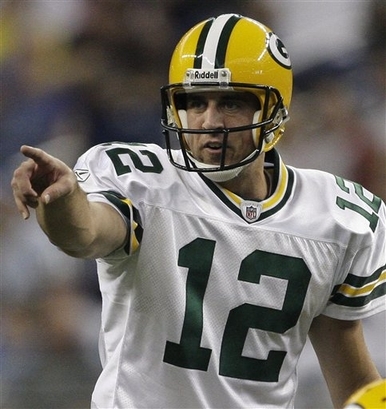 Rodgers entered the 2005 draft and was considered to be the top QB and likely number one overall pick. But Rodgers was overlooked by the teams many considered would take him and was finally chosen by the Packers as the 24th pick. Unfortunately, he found himself on a team with one of the most elite QBs in the history of the game – Brett Favre. For the next three seasons, Rodgers waited for his opportunity to play. Upon Favre’s departure in 2008, he earned the starting position. Despite his solid play, the Packers had a losing season and fans directed their anger and disappointment towards their new starting QB. In 2009, Rodgers led the Packers to an 11-5 record and a wild card spot in the playoffs. While the Packers lost in the first round of the playoffs, Rodgers had a very successful season. He was the first QB to throw for over 4,000 yards in both of his first two seasons as a starter. Rodgers was voted to the Pro Bowl in 2009. This season, he was the top ranked NFC QB with a rating of 101.2. He passes with incredible accuracy and is the epitome of a pocket passer. His incredible ability to read defenses quickly and pick them apart is reminiscent of Peyton Manning. Like Manning, he also changes the play at the line of scrimmage when he sees a better read – that is a true testament to the confidence his coaches’ place in him. Rodgers also has the ability to run and was the Packers’ leading rusher this season, rushing for nearly 400 yards and 4 TDs. While most of the attention in last week’s playoff game focused on Atlanta Falcons QB Matt Ryan who was selected for the Pro Bowl, it was the QB NOT selected by the Pro Bowl who had the big day. In that game, Rodgers was 31 of 36 for 366 yards, 3 TDs and a 48-21 victory. It seems Rodgers thrives on the underdog status, playing like a man with something to prove. Flying under the radar is something Aaron Rodgers has become accustomed to. From his early days when he was overlooked by Division I colleges, to being passed over in the draft and living in the shadow of Favre, Rodgers has maintained his dignity, while preparing for his day in the spotlight. That day has finally arrived and it seems Rodgers is fully prepared to take center stage. With this new found attention and hype, will Rodgers’ hot hand continue? Or does he perform better when he is the underdog and plays with a chip on his shoulder? Sunday’s game should answer that question and I, for one, cannot wait to discover the answer! Next Up: NFL Conference Championship Games! With less than 4 minutes remaining in the fourth quarter on Saturday, the Pittsburgh Steelers found themselves tied with the Baltimore Ravens. With Steelers QB Ben Roethlisberger in charge, was the outcome ever in doubt? The calm, veteran QB gathered the team in the huddle and simply stated, “I’m going down to score. Who is coming down with me?” With that, he and the Steelers put together an 11 play drive that resulted in the game winning TD by Rashard Mendenhall. The Steelers 31-24 victory earned them a spot in the AFC Conference Championship game next week. This is Pittsburgh’s 4th AFC title game in seven years. They will face the New York Jets at home. 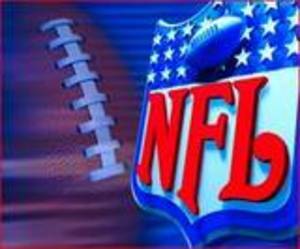 The Jets defeated the top seeded New England Patriots yesterday 28-21. After a week of trash talking from Jets head coach Rex Ryan and some of his players, Gang Green backed up their words with their on field play. The key to the game was stopping Tom Brady and the Jet’s defensive strategy did just that – sacking the likely MVP 5 times and intercepting him once. Prior to yesterday, Brady had not thrown an INT in 335 pass attempts. The Steelers versus the Jets! Game time is 6:30 pm ET Sunday. Make sure to check back this week for the latest news and analysis of what promises to be an exciting AFC Conference Championship! Meanwhile in the NFC, the Green Bay Packers manhandled the NFC’s top seeded Atlanta Falcons Saturday, defeating them 48-21. We stated before that Packers QB Aaron Rodgers seems to be a man on a mission and he certainly played like one. Rodgers completed 31 of 36 passes for 366 yards and three passing TDs, plus a rushing TD. Green Bay will travel to Chicago to take on the Bears in the NFC Conference Championship game. The Bears defeated the Seahawks yesterday 35-24. The Bear’s offense overwhelmed the Seahawks and Bears QB Jay Cutler, in his first post-season appearance, threw 2 TD and rushed for 2 as well. Despite a valiant effort by Seahawks QB Matt Hasselbeck, the Seattle offense simply could not get things going. The question remains – were the Bears that good, or were the Seahawks really that bad? The Packers and Bears have a long-standing rivalry, dating back to 1921. They have met 181 times, but this is the first time they have are playing for an NFC title. Sunday’s game will air at3 pm ET. We look forward to breaking down this traditional, storied rivalry in the days to come! Can the Packers Bring the Heat to Matty Ice? 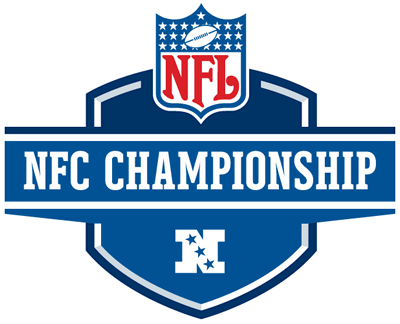 Following the Raven/Steelers game on Saturday afternoon is the NFC Divisional Playoff featuring the Green Bay Packers and Atlanta Falcons. The 13-3 Falcons are seeded number one and had a bye last week, while the Packers played a tough game against the Eagles. Their win against the Eagles was their first road playoff victory since 1997! Let’s take a look at this matchup which takes place at 8 PM ET on Saturday. The two teams played in the Georgia Dome in Week 12, with the Falcons emerging with a 20-17 victory. 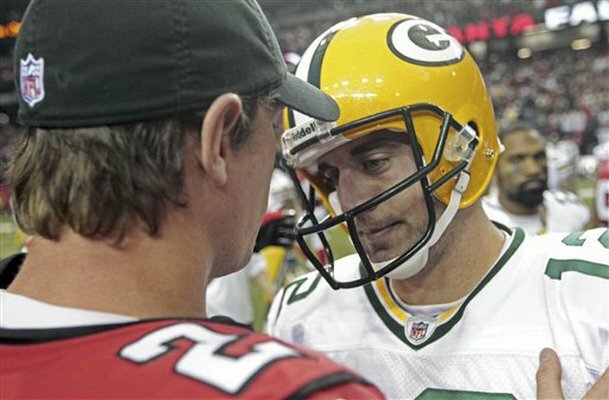 Falcons QB Matt Ryan is 20-2 at home and, to their dismay, the Packers find themselves playing in the Georgia Dome. Ryan is having a phenomenal season, throwing for over 3700 yards and 28 TDs. In high school, Ryan earned the nickname “Matty Ice” for his ability to remain cool and calm under pressure. He has continued to show poise in the NFL and has led Atlanta to 13 4th quarter or overtime drives that resulted in wins. How can the Packers rattle the unflappable Ryan? Packers linebacker Clay Matthews and cornerback Charles Woodson may just be the duo for the job. Matthews was just named The Sporting News NFL Defensive Player of the Year. That recognition was well deserved, as he is one of the leading pass rushers, recording 13.5 sacks, two forced fumbles and an interception this season. Last week against the Eagles, Matthews blitzed Eagles QB Michael Vick all game and was a key factor in disrupting the Eagles offense. Matthews and Woodson will likely be a major part of the Packer’s strategy to contain Ryan and his offense. The Packers have relied almost exclusively on QB Aaron Rodgers and his passing game all season, as their running game has been virtually non-existent. Last week they found success in RB James Starks, who rushed for 123 yards. If Starks is able to build on last week’s success vs. the Eagles, this could greatly improve the Packer’s chances. In their Week 12 loss against Atlanta, Packer’s RBs rushed for a mere 26 yards and Rodgers himself picked up 51 yards. A new found rushing game helps balance the offense and control the time of possession and could be the big difference in the game. Matty Ice may be unflappable, but he will likely feel some pressure from Matthews and Woodson. While the Falcons have home field advantage and beat the Packers earlier this season, Rogers appears to be a man on a mission and seems unstoppable. Coupled with a new, promising running game, they have an edge over their previous meetings with the Falcons. Look for a tight game, with the Packers winning by 7. NFL Playoffs – Who is Hot and Who is Not? 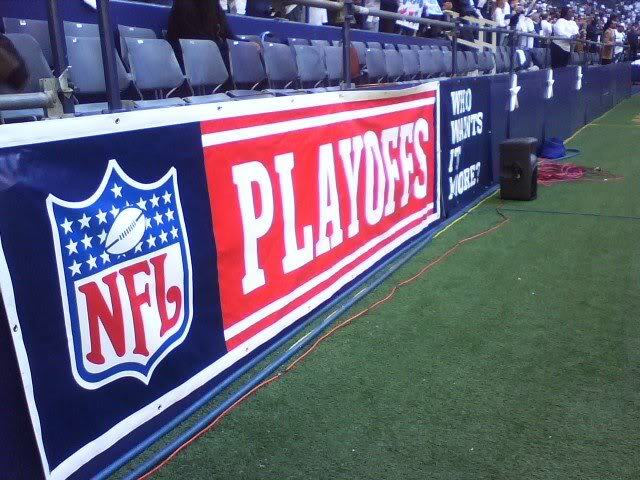 After today’s NFL games, the playoff berths are set. While one game is still in progress (St. Louis Rams and Seattle Seahawks), here is a look at who’s hot and who’s not. Who is Hot in the NFC? Who Was Eliminated from the NFC? After a Green Bay win over the Bears, the New York Giants and Tampa Bay Buccaneers find themselves eliminated from the playoffs and definitely NOT feeling very hot! Who is Hot in the AFC? Who Was Eliminated from the AFC? The Jacksonville Jaguars are out of the playoffs after their loss to the Houston Titans. The NFL playoff season begins next week. There are some great games to look forward to, so check back for the latest updates and analysis from your Gridironglamourgirl Team!